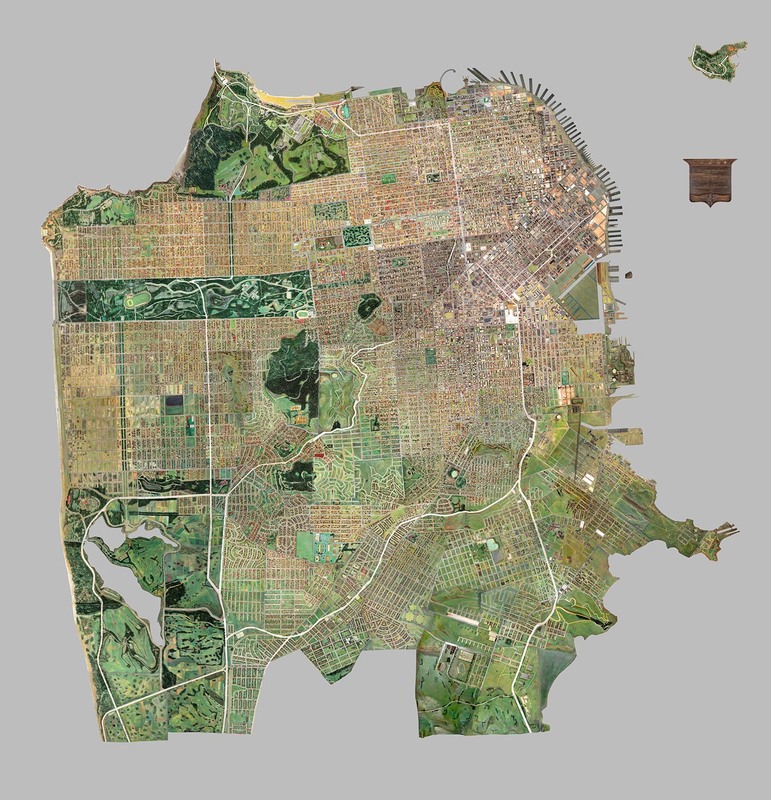 In the 1930s, the Works Public Administration commissioned a 1":100' wooden model of San Francisco; the final model is 38' x 42', with 6,000 removable city blocks spanning 158 pieces. After being exhibited in the Golden Gate International Exposition on Treasure Island in San Francisco Bay in 1939 and city hall from 1940-42, it was used as a city planning tool and then as a teaching aid at the Environmental Simulation Laboratory in the College of Environmental Design at UC Berkeley. The whole model has not been on public display since 1942, but now SFMOMA and the San Francisco Public Library have commissioned high-resolution photographs of each piece, which are assembled into a virtual layout that has been transposed to Google Maps; it's part of the joint Public Knowledge: Take Part initiative. The condition of the model is generally good except for the downtown and south of market portions which need restoration - many blocks there have been removed and lost, probably from the time it was used and updated as a planning tool. The team that has made the model available again to the public are the principals of Public Knowledge: Take Part: Bik Van der Pol, Artists; Stella Lochman Project Manager; Tomoko Kanamitsu, Project Director; Deena Chalabi, Curatorial Lead; and Bay Area historian Gray Brechin, who for many years has championed the Model's preservation as a critical piece of Bay Area history during the New Deal.